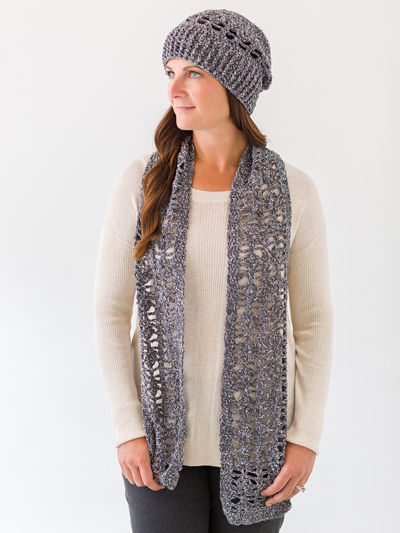 Staying warm has never been so pretty! 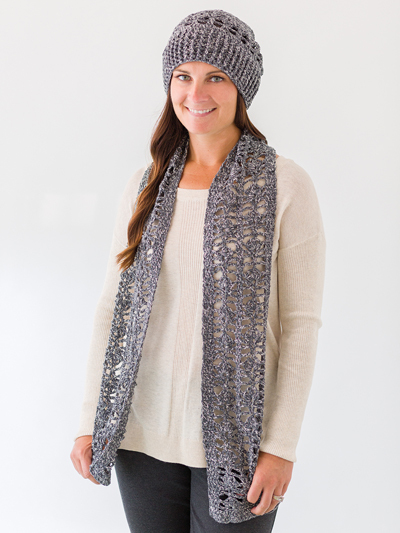 This lacy hat and scarf set is made using 3 skeins of Premier Rodeo worsted-weight yarn and a size H/8/5mm crochet hook. 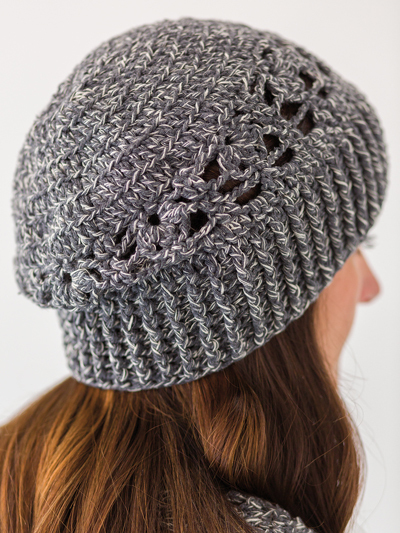 Special stitches include 3-double crochet cluster and v-stitch. 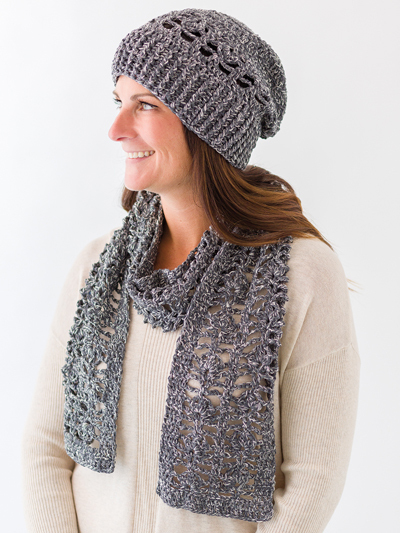 Size: Hat S 18" circumference (M 19", L 20"); Scarf 5 1/2"W x 60"L.